City Council gave final approval Thursday to leasing city-owned property to the American Legion for $1 a year, so it can build a bigger post in Ocean City. 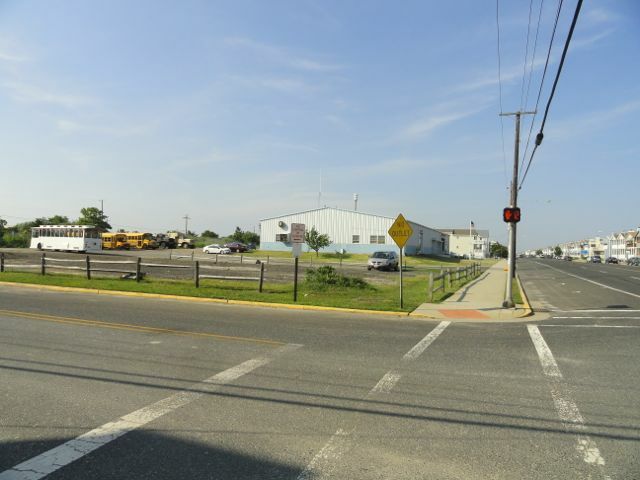 Proposed site for a new American Legion post at the corner of 46th Street and West Avenue in Ocean City, NJ. Council passed the second reading of an ordinance authorizing the lease in a 6-0 vote. As a veteran and member of the American Legion, Councilman Pete Guinosso recused himself from the discussion and vote. The ordinance authorizes the leasing of a vacant lot at the corner of 46th Street and West Avenue. The American Legion Morvay-Miley Post in Ocean City currently leases space at 3304 Bay Avenue from Cape May County. But with 355 American Legion members, 100 members of the Sons of the American Legion and another 100 members of the Auxiliary, the veterans organization needs more space, according to Post Commander Bob Marzulli. Under the 50-year lease, and the post will be responsible for any construction costs. The use of the leased 70-by-100-foot lot will be restricted to “the housing, recreation, education or health care of veterans of any war of the United States.” If that use were ever to change, the lease will be terminated. “The city will have input as to the design of the building, and will take the site plan to the Planning Board for its review,” City Solicitor Dorothy McCrosson said. Marzulli said he promised the post he would help secure a place of their own, and he applauded City Council for their support. “I’m sure I speak for every one of our 500 members,” he said.